Should British people be embarrassed at their ‘failure’ to speak foreign languages? 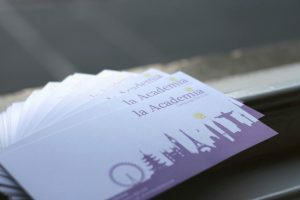 Here at la Academia in Manchester, we don’t think so – every day we’re encouraging our students to carry on a great British tradition of learning languages. When Britain had an Empire, language learning was essential, and administrators working overseas often had to learn languages that were not taught in schools. Many of them were excellent foreign language speakers so we say – don’t be shy – it’s not true that the British are bad at languages! 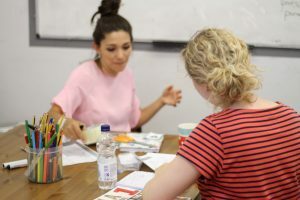 Whether you want to learn a European language such as French, Italian, Spanish, Portuguese or German, or take courses in a more ‘exotic’ language such as Chinese, Japanese or Malay, our language classes in Manchester are what you need! Some of our students are learning languages for travel and as a hobby, and some are being sponsored by their companies to learn a foreign language for business. 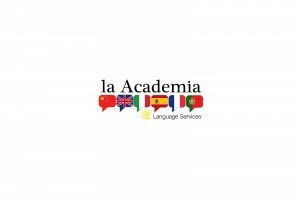 We have language classes for beginners, intermediate and advanced students and we also offer intensive language learning courses. We run language classes for groups in our offices in Manchester, in schools and in companies, and we also offer individual language tuition. Every week our students are working hard in our French, Chinese, Italian, Spanish and German classes and are breaking down the perception that the British don’t care about languages. With the support of the team at la Academia you can do the same – now, don’t be shy – come and join the fun!